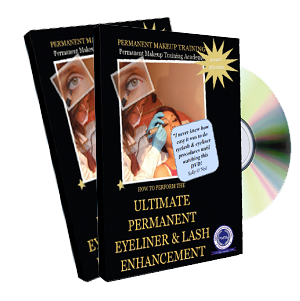 Watch Head Trainer of the Permanent Makeup Training Academy, Katy Jobbins, perform a semi permanent makeup eyeliner procedure by clicking on the video below. Of all procedures performing eyeliner tattooing seems to be the least favourite of most permanent makeup technicians due to the closeness of the eyeball. This normally stems from a lack of confidence given the way they have been trained to perform the procedure. 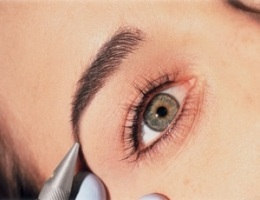 Semi Permanent Eyeliner is actually simpler than Brows or Lips as there is already a natural line for you to follow. 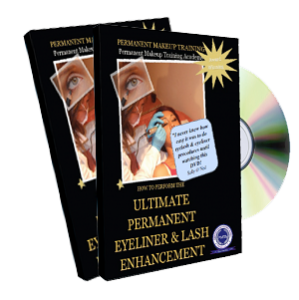 See how Katy performs this delicate semi permanent eyeliner procedure in the following video demonstration. As well as training students in permanent makeup Katy has also produced a variety of home study ebooks and dvd’s that can be purchased from the website. If you want to polish up on your skills or learn new ones then check out the products here. These products have sold worldwide and assisted many permanent makeup students that haven’t trained at the Permanent Makeup Training Academy in the UK. These educational training products can help you with your skills as well as help you to attract all the customers that you can handle. You can never stop learning something new and you will find a host of golden nuggets in these products. If are looking for a new career in the beauty industry then why not consider getting into permanent makeup. It’s a great fun and fulfilling occupation and its not often that you find a career where your clients want to hug you at the end of the treatment as they are so overjoyed with the end results. The Permanent Makeup Training Academy trains students from all backgrounds. You don’t have to be in the beauty business to get started and you can be commanding rates of £250 per hour on completion of your training. To find out more download the course prospectus from the website or call our 24hr hotline on 01444 300157 for more details.